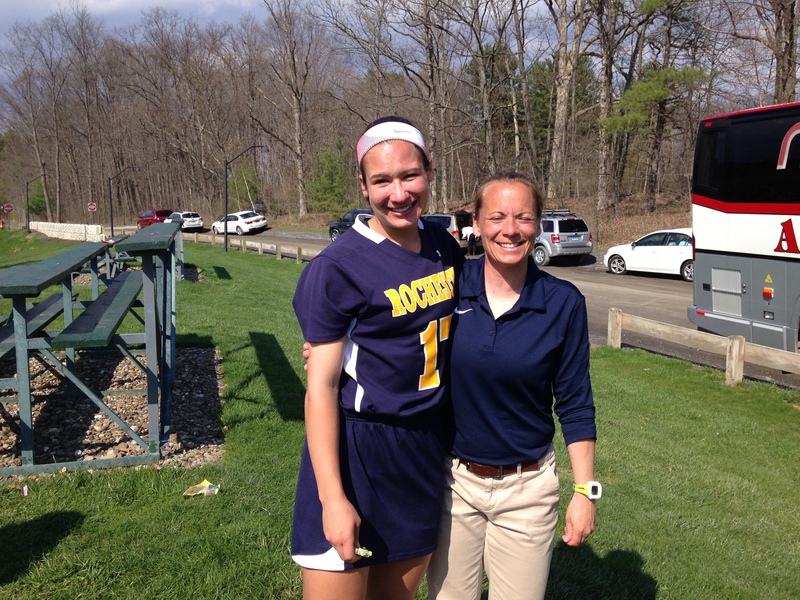 Sarah Skinner of Oswego recently completed her lacrosse career at the University of Rochester with three goals and three draw controls against host Bard College. Sarah Skinner (left) with U of R’s Lacrosse coach Sue Beheme following 15-5 win at Bard College. She finishes ranking second all-time in draw controls and sixth overall in caused turnovers for the Yellowjackets. A recent winner of the University’s prestigious Garnish Award, presented to student athletes in recognition of excellence on the field and in the class room (she is the first women’s lacrosse player to receive the award), the chemistry major has accepted a full graduate assistantship at Syracuse University where she will pursue a masters degree in Nutritional Science.